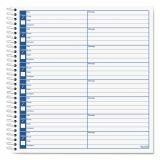 Check-off boxes highlight returned calls, providing a quick visual reminder of pending work. Heavyweight bond prevents bleed-through to entries on reverse page. 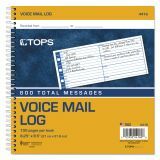 TOPS Voice Message Log Books, 8 1/2 x 8 1/4, 800-Message Book - Voice Message Log Book lets you keep an accurate record of messages retrieved from answering machines and voice mail systems. 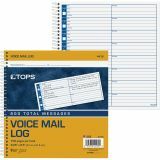 No more lost scraps of paper or notes scribbled on back of business cards. 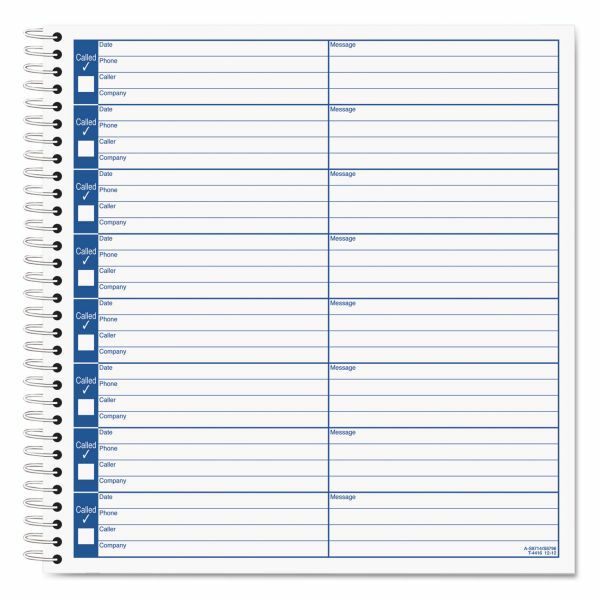 Cover flips back for easy writing in the office or on the road. 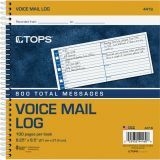 Book includes 50 sheets for recording 800 messages. Date register on front cover.